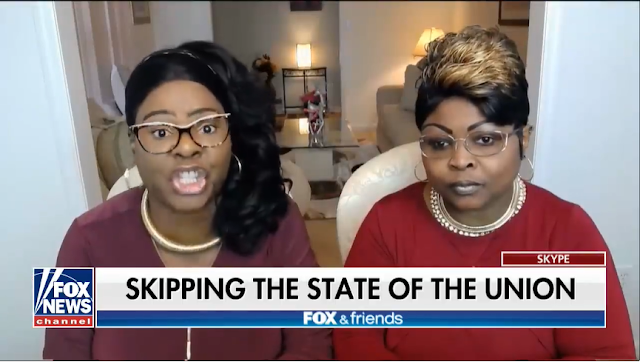 We haven’t heard two much from the dynamic duo of Diamond & Silk in a while, but they sure as hell know how to make their presence felt in a big way! During a recent interview with Fox & Friends, these ladies fired back at the liberal media for their constant slandering of President Trump. “Trump is not a racist. He’s a realist. And the only color he sees is green and he wants you to have some of it.”, Diamond said as the Fox News hosts laughed. “Maybe they need to get the racism out of their own hearts towards this Presdient so that we can move this country forward,” she continued. “I want black people to also look at these black lawmakers….name ONE piece of legislation that they’ve passed in the last year that has helped urban communities. NONE. These are the people that we need to VOTE OUT”, they added. Silk then chimed in with how they have been spewed with racist hate from their own community. She said that they’ve been called “house negros” and “Uncle Toms” simply because they support a white President. Thank GOD we have strong women like this who stand PROUD with President Trump! Comment below with your response to their interview.